Oslo/Paris, 14 June 2017: Active Shipping is teaming up with Marlink and its regional partner Ozsay Satellite Communications to move into the world of high-speed maritime broadband and ship digitalisation. By installing Marlink’s Sealink Global VSAT service combined with the XChange digital solutions platform, the Istanbul, Turkey-based ship manager will experience a significant boost to its operational capabilities on its vessels, which comprise oil tankers and bulk carriers. 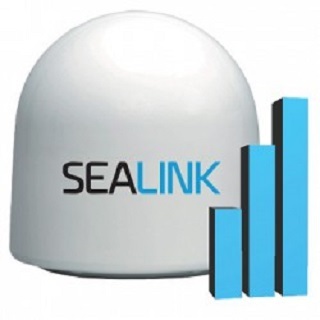 Active shipping will run the cost-effective Sealink VSAT Data Allowance service to ensure sufficient bandwidth is delivered to its vessels while enjoying the benefits of full control and monitoring of the data transfer between ship to shore, with the option to top-up data if more is required any time during the month. To boost crew morale, Active Shipping will roll-out the XChange Bring Your Own Device (BYOD) solution, enabling crew on-board to access the Internet and call friends and family via Wi-Fi from their own smartphones, tablets and laptops. The XChange Universal Remote Access solution will be used by IT staff on-shore to access remotely and act in real-time on the ship network, in a secured way without the need of a dedicated fixed IP address. Marlink will also configure a Virtual Private Network (VPN), to securely connect Active Shipping vessels to the company’s shore-based IT and network infrastructure. Additionally, the use of the Marlink ‘Local Numbers’ solution will enable low-cost voice calling, from almost anywhere in the world. With Sealink and XChange installed on all vessels, Active Shipping will enjoy uninterrupted communications globally, and seamless automatic switching between satellites while on the move. 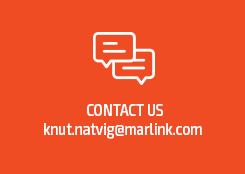 “By moving to Sealink VSAT services, Active Shipping will enjoy a step change in its communication capabilities, allowing for more focus on smart shipping applications that can introduce new efficiencies, while at the same time modernising its crew communication offering,” said Tore Morten Olsen, President Maritime, Marlink. “This contract shows a changing approach to both operational and crew communication in the Turkish market. We have already seen a growing interest for higher speeds and more data from Turkish ship owners looking to make the next step to flexible, cost-effective and easy to managed VSAT services,” said Ali Islamoglu, Managing Director, Ozsay Satellite Communications.